Nifty and Bank Nifty march futures turned to positional sell mode this start of the week on the hourly charts currently the support zone comes around 6515 and 12052 respectively. Reverse your position to sell mode if the support zone breaks on the hourly charts. 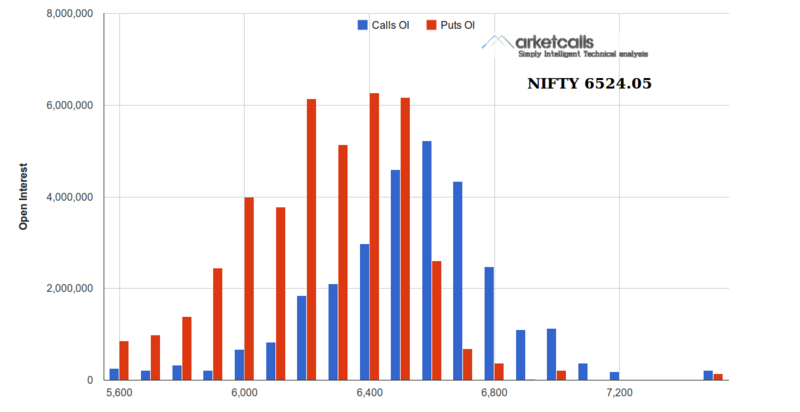 Nifty options shows moderate amount of open interest built-up across the strike prices. 6200PE, 6400PE, 6500PE holds the higher open interest for this series however the amount of open interest is not as high as Feb series. which shows that the put writers are not as much as confident as February series.